New Zealand’s largest living kauri tree—Tāne Mahuta, Lord of the Forest—is this week’s photo of the week. With such a majestic name, Tāne Mahuta is an apt choice for Māori Language Week, with its focus on ‘Ngā ingoa Māori, Māori names’. 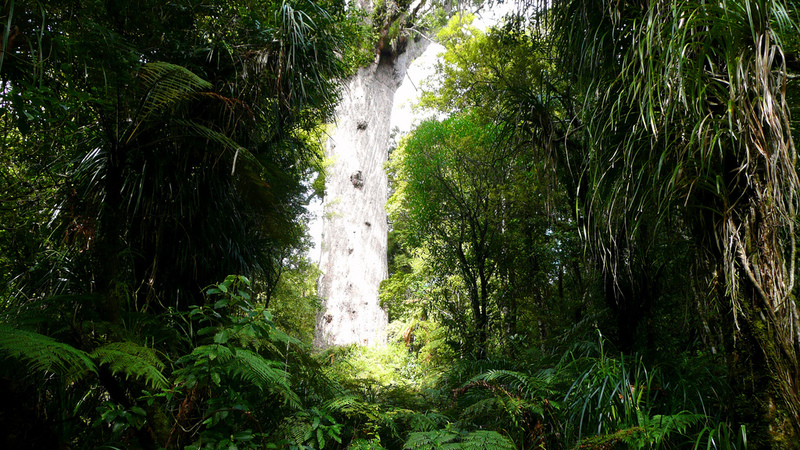 Tāne Mahuta stands in Waipoua Forest in Northland and is thought to be between 1,250 and 2,500 years old. According to Maori mythology Tāne was the son of Ranginui the sky father and Papatūānuku the earth mother. Tāne was the child that separated his parents’ embrace, bringing light to the earth, and clothing his mother in the forest we have today. All living creatures of the forest are regarded as Tāne’s children. 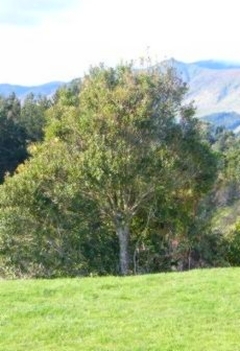 The tree is a remnant of the ancient subtropical rainforest that once grew on the North Auckland Peninsula. This photo was taken by C S Jones. The forests of Waipoua are the garden of Tane Mahuta. Waipoua, and the adjoining forests of Mataraua and Waima, make up the largest remaining tract of native forest in Northland. Good walking tracks give easy access to the most spectacular attractions of the forest: the giant trees Tane Mahuta, Te Matua Ngahere and Yakas. Tramping tracks and routes are also available for those who wish to venture deeper into the forest, especially in the high plateau and ranges.